Liquid Authoring, a new rapid content authoring tool from Landmark ASP, tries to bring together easy to use functionality with advanced capabilities. The problem though lies in the execution. After logging into Liquid Authoring you go immediately to your home screen. The layout is refreshing and buttons – i.e. options to select from are crisp and clear. Clicking the “Course” button, you go to the course screen. Here you can view courses already created, edit those course or delete them. You can also create a new course. Click “Create New Course” and you will go to the course window page. The page is quite extensive with a top bar, left side bar (which you scroll down to see more options), preview tab, the default course build window, and on the right side once you start to create the course and depending on the objects you selected, the properties option. This is the key to building your courses, since the objects identify what you can do. 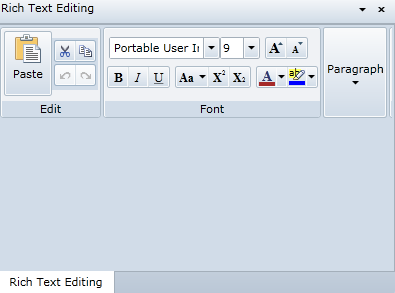 The problem though is that it isn’t as simple as clicking the object button and having it appear on your course window. Rather, you have to click it, hold it down and move your mouse onto the course screen and then the object changes to the actual object. From here, you can expand the object, and change the properties. One strange output is that the default is a light grey and not white. In order to select your media, you have to locate “source” on your properties window. Again, very robust for those advanced users, but can be difficult for someone who wants just the basics. Additionally, locating “source” isn’t easy to do. On the top toolbar, you are provided a vast set of options, one of which is the course properties option. Above that toolbar, is where you can see your chapters slides, follow by slides to enter into the course. Again, this is WBT, and it should be listed on the toolbar as pages, not “new slide”, for example. On a side note, to return to your home dashboard screen, you need to click on the “Liquid authoring” button. Again, how would you know to do that? I did like that the course title, chapters, author info and additional info was in plain site. And yes, you can move the slides around. On the right side of the course build window is where you are going to see the properties. The properties only appear when you move an object onto the build window and click the object. I found that some objects only required a single click, others required a double click. Lots of options, but can you guess where you type and enter in the questions? If you said “Answers” collection you would be right. But, honestly, how long did it take you to figure out that “collection” was meant to be clicked to do so? Oh, if you are looking for “font” and changing of the colors, you have to scroll past “dimensions” to do so. My recommendation is to list it higher, before background color. Answer type can be single or multiple. It would make sense to include true or false, or matching too, rather than just “single” or “multiple”. If you want other types of quiz types, for example, fill in the blanks or hot spot, then you do not use the “quiz” object, but rather the Hot Spot object or Fill in the Blanks object. You can change numerous properties including the background colors. You can also pick a behavior if you so choose to, but the default does not activate it. You can add new questions or delete them. 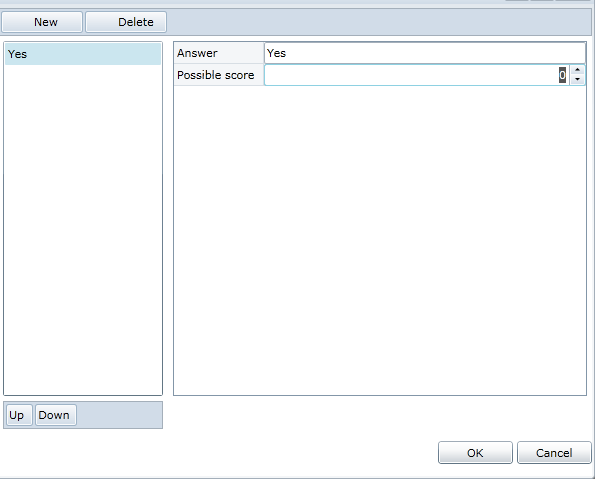 You type in the Answer and can identify the possible score, if you so choose. Click “OK” and your quiz questions now appear. You can move them around anywhere on the course build screen, expand or decrease. I will say this about Liquid Authoring, it does not auto group objects on the screen, which is wonderful. Too many authoring tools do this, and it is irritating. Trust me, not everyone wants to group their image with text. Liquid Authoring has a lot of promise, but it can’t seem to decide what it wants to be. On one hand, its home dashboard layout is easy with identifiable buttons, on the other side, the use of properties for each object can be overwhelming. It is as though, the product itself wants to be two things to two groups of end users. Those who are e-learning developers and instructional designers, and those folks who are not. Perhaps a simple adding of a tab in the Properties window, with the default being a simplified version, and a tab with “advanced” would make sense. Thus, each group can be satisfied. There is nothing wrong with offering advanced options, and actually, it is a nice compliment, but execution and intangibles, are giving an appearance that this solution will be collecting dust in the rapid content authoring world.